The Salvation Army - Thrift Store #1 is located on Mackey Street North. The Salvation Army, an international movement, is an evangelical part of the universal Christian Church. Its message is based on the Bible. Its ministry is motivated by the love of God. Its mission is to preach the gospel of Jesus Christ and to meet human needs in His name without discrimination. The administrative offices (or divisional headquarters) for The Salvation Army are located on 31 Mackey Street, Nassau. 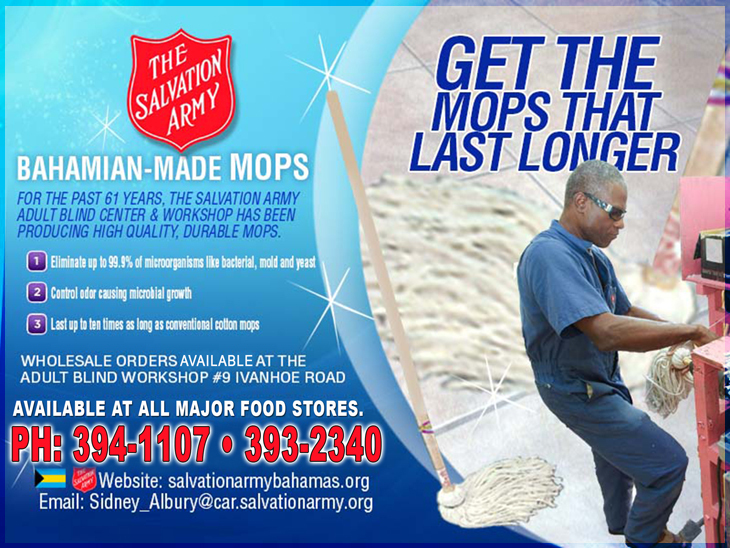 From this location The Salvation Army coordinates all of its programs and services rendered in The Bahamas. The Divisional Commander is directly responsible for the Army's work and business in The Bahamas, and is ably supported at divisional headquarters by other Salvation Army officers, advisory board members, employees and volunteers. Donated, usable items are sold in the Army's family thrift stores at very minimal costs. All of the net profits go to help finance other social and welfare programs which the Army operates. 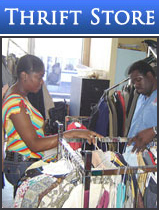 Needy individuals and families have priority access a variety of donated items at no cost, through the Army's welfare office on Mackey Street, Nassau, and West Atlantic Drive, Freeport.